Big Blue is going to become slightly less Big and Blue by paying Global Foundries $1.5bn to take on its chip-making business, according to multiple media reports. The giant's retreat from hardware continues following the transfer of the X86 server business to Lenovo. Bloomberg and others reported an IBM statement saying it is going to make a "major business announcement" today, 20 October. It will also make its third quarter earnings statement earlier than usual, before the close of business instead of after it. Neither IBM nor Global Foundries responded to Bloomberg enquiries. IBM's Power chip-making business has a foundry in East Fishkill, New York. The Power architecture is being licensed and IBM is moving to an ARM-like CPU design licensing model. AMD spun out Global Foundries in 2009 and it is based in Santa Clara. IBM's East Fishkill semiconductor plant. Global Foundries also has a plant in New York state, in Saratoga county. It makes 300mm semiconductor wafers. 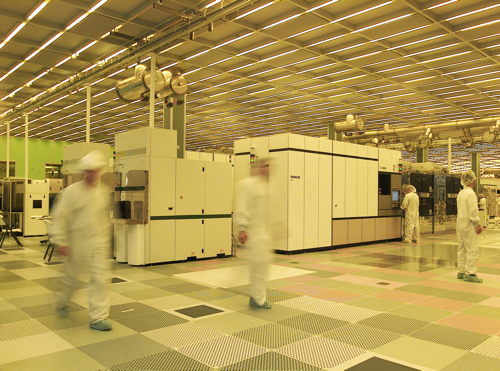 The deal involves a 10-year arrangement for Global Foundries to supply Power chips to IBM. Apparently, IBM has been in negotiations with Global Foundries for some time about the latter taking on the chip-making business, although the dowry price was a stumbling block.